With social media becoming more and more crucial for business purposes, the to-do list for effective social media marketing is continually increasing. That’s why most of the marketing agencies rely on the help of social media automation tools. But, are they truly meeting the requirements for effective marketing? Not always. 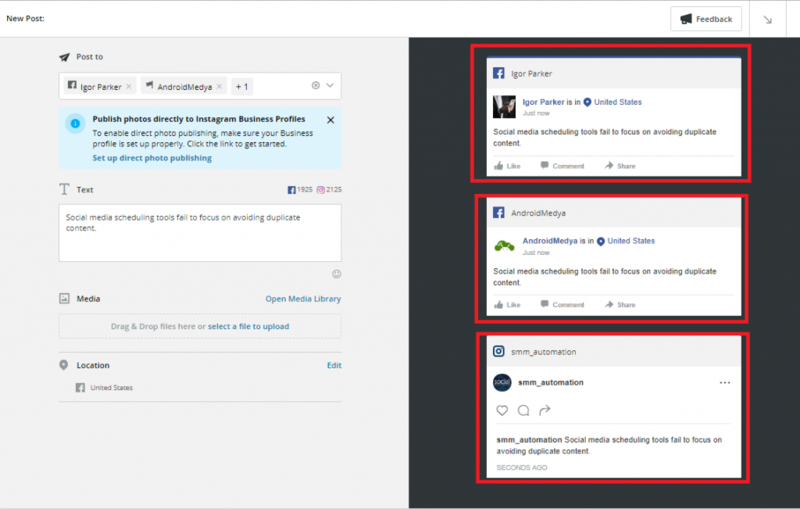 Let’s take a look at the top 4 ways the existing social automation tools fail to deliver for effective social media marketing strategies. 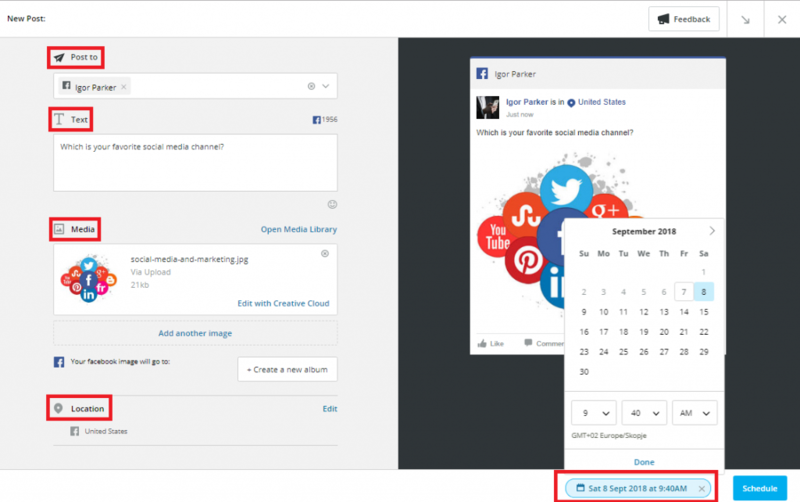 Social media scheduling tools are a crucial investment that can save your team lots of time and hard work. However, most of them are not fully automated. 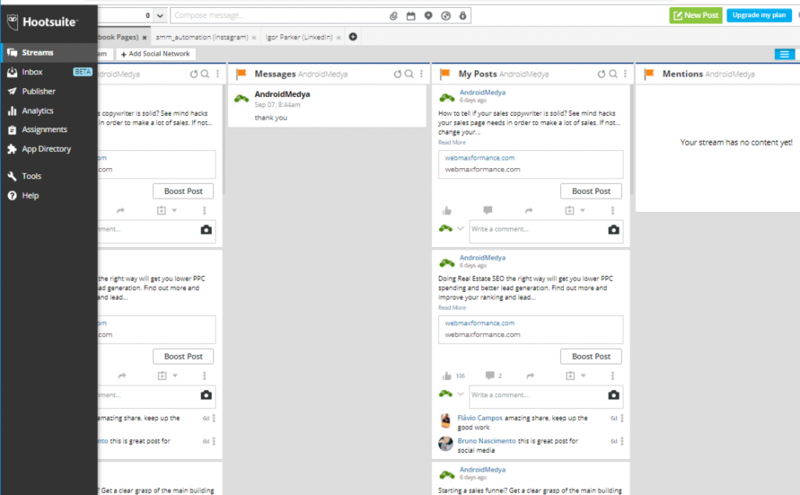 Let’s take Sprout Social and Hootsuite as an example. They’re both great social management apps with some great features. But, when it comes to scheduling social media campaigns, they may not be all that helpful. When scheduling campaigns with these tools the meta description, images, and hashtags have to be put in MANUALLY for all blog posts. And that is not only time consuming, but also requires a lot of effort. And why would you invest in such tools when so much manual work is required anyway? Words are not just words. They have the power to evoke different emotions like happiness, anger, excitement, and many more. With the right words, you can change how someone feels. Because of this, the way businesses speak to audience and clients in the social media marketing world is essential. But yet, none of the existing tools on the market checks for emotion and sentiment impact of the content they share when they create social media campaigns. Making emotions and sentiment analysis of your social media campaigns is essential to attract and engage the right audience. These analyses make a huge difference for effective social media marketing. And does any social media management tool on the market provide Sentiment and Emotions analysis? Stay tuned until the end of this blog to find out. Everybody knows that guy who tells the same story at every party over and over again. And everybody avoids that guy. And for the right reason, right? The same applies to the social media marketing world. Social users and especially Social Algorithms hate seeing the same content again and again. It pushes your clients’ audience and followers away, it may hurt website rankings and produce lower social traffic. So, when your team creates campaigns for your clients, they should make several variations of a single blog post with unique titles, meta descriptions, and images. Making unique variations out of thousands of blog posts manually is really time-consuming and requires some serious work. What you need is a social media management tool that will create those unique variations for you. Scheduling campaigns using not-so-automated tools is a bit complicated. Let’s say you want to make several unique variations from a blog post and share them on several social platforms. You’ll need to write meta description, add images and hashtags, and choose days and time of posting for one variation at a time. And then for another one and so on. Even if tools such as Sprout Social and Hootsuite have many great features, they’re not as user-friendly as one would expect. And with so many variations your team has to create for your clients, they are not making the work easier or much faster. Let’s see how Populizr can help in delivering value to your clients’ social presence. Populizr is a social SEO automation tool that helps quickly and easily create social campaigns. It differs from other automation tools on the market for its unique features which are extremely useful for an effective social media marketing. When you schedule a campaign with Populizr, the process goes like this: you copy – paste URL link of a blog post. Then the tool by itself generates the meta description, hashtags, and images from that blog post. You don’t need to do that manually for every single blog post, which is great since it saves you precious time. Populizr is the only social media management tool on the market to provide an Emotions & Sentiment Analyzer. Thanks to this built-in feature, Populizr helps you find out how emotionally effective your campaigns are before even publishing them. This way you can make sure to trigger the desired emotional response in your clients’ audience. Once you paste URL link from a blog post, Populizr creates up to 25 unique variations with unique meta description, titles, and images. Like this, you post the same blog post on social media platforms, but at the same time, you avoid sharing duplicate content. Using Populizr for creating social campaigns is quite easy. With just a few clicks, you get unique campaign variations. Then, when scheduling campaigns, you don’t need to choose time and date of posting for each variation separately. Instead, you simply choose the scheduling type you would like to use. Populizr offers you to choose between evergreen, promotional, standard, and custom scheduling type. Once you’ve selected the desired scheduling type, Populizr posts your campaign variations on your connected social media networks at the time your clients’ audience is most active. Pretty simple huh? Thanks to Populizr, your team can now quickly and easily launch unique and effective social campaigns for every client. If you want to learn more about how to put your social media marketing on autopilot, take a look at this guide. It’s a must-read for everyone in the social media marketing niche. Purchasing a social scheduling tool is an essential investment. It helps you easily manage social media and create social campaigns. 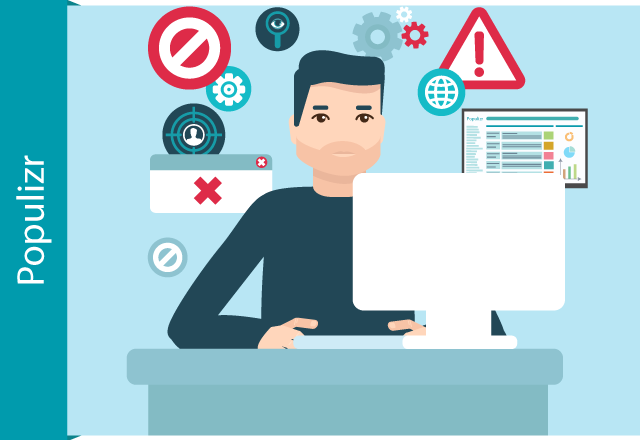 However, many automation tools on the market fail to deliver for effective social media marketing, except one – Populizr. Populizr meets the requirements for effective social media marketing since it requires minimum manual work, it checks for emotional and sentiment impact of the content, helps you avoid duplicate content, and is user-friendly. 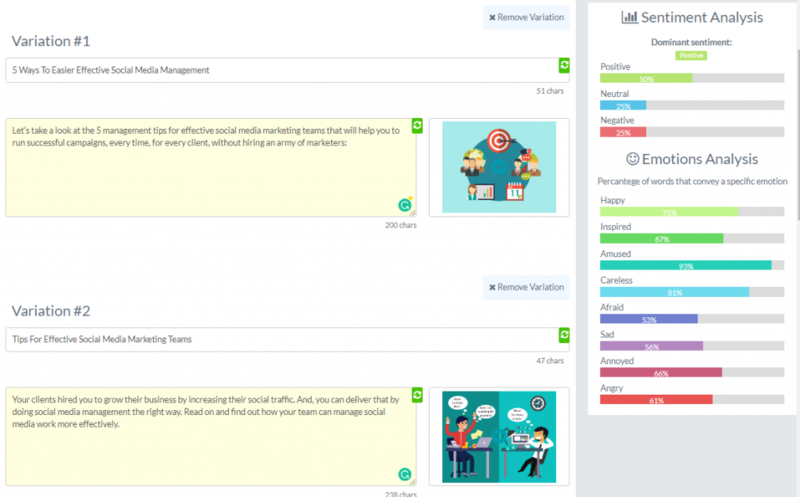 With Populizr, you can manage your clients’ social networks from one dashboard, with just a few clicks, in 4 minutes or less per social campaign. Deliver value to your clients and save valuable time. Try Populizr for Agencies today.